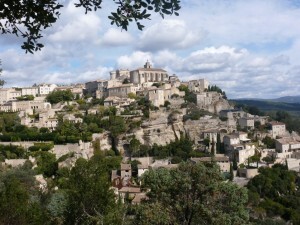 When one mentions the region of Provence in Southern France, many associate it with delicious food, wine, and romance. 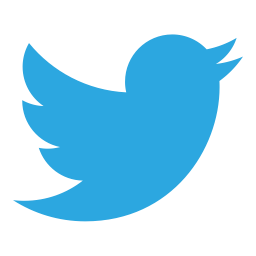 But what sets Provence apart from other regions of France also known for their romantic undertones? Perhaps it’s the beautiful purple lavender that smells so wonderful and fills fields everywhere in the months of June, July and August. Maybe it’s the rich history that surrounds you in places like Aix en Provence and Avignon, or the narrow cobblestone streets and breathtaking views in the towns of Gordes, Roussillon, and Gorges du Verdon (also known as the little grand canyon) in Alpes-de-Haute-Provence. In order to truly enjoy Provence, one needs at least a week to have a good mix of relaxation and exploration. 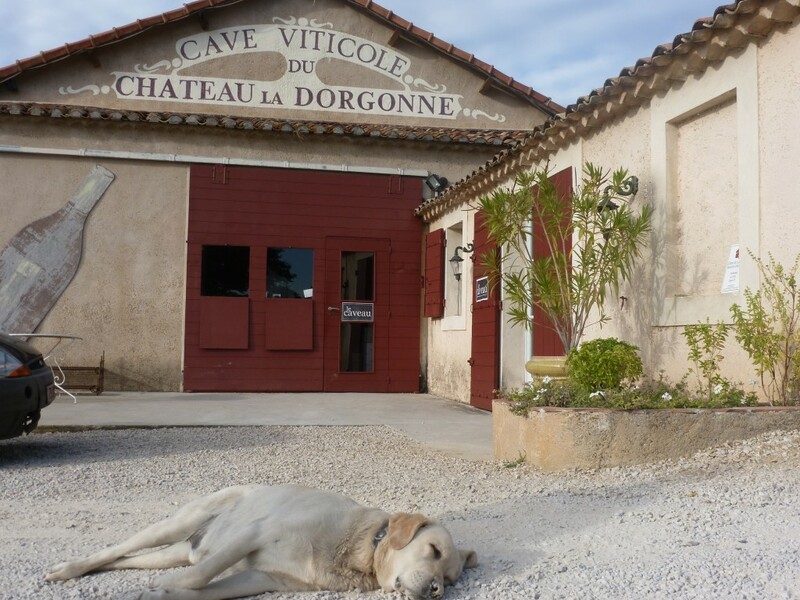 While all of the areas are accessible and easy to get to by car, they all have their own flavor and you’ll want to make sure you have enough time to see as many of them as possible, and include at least a day in Marseille. 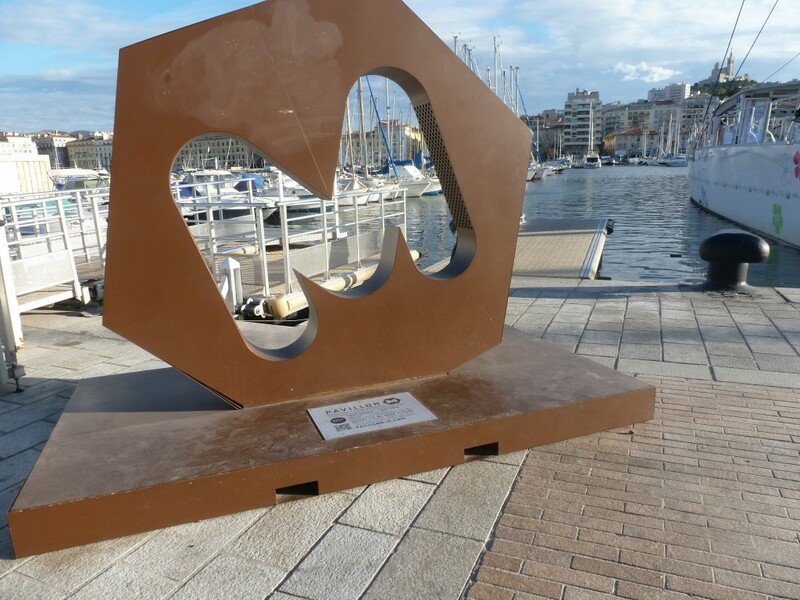 Marseille was named the European Capital of Culture for 2013, and for good reason, with its numerous museums and exhibitions within the port city. In Provence, we balanced seeing the sites and learning the history of Aix and Avignon with leisurely drives through the rolling hilltop villages of the Luberon region. We flew into Marseille from JFK aboard XL Airways, a great new carrier that just has two itineraries out of New York; to Paris and Marseille. Because they are not a huge carrier, running numerous flights a day, the check-in and security lines were almost non-existent. You can opt for the first three rows, which have wider leather seats and a little more room, but the service is the same as on the rest of the flight. The advantage to this is that they don’t charge nearly as much as it would be to upgrade to first class, but if you prefer the extra room, you can take advantage of this option for just a small upgrade fee of around $140. Renting a car is a definite must to getting around and visiting the quaint villages through which no train would pass. We rented from Hertz, as we found they had very competitive rates and were conveniently located at the airport, just outside the main terminal. If you only drive automatic, you’ll be limited in your selection at some rental companies, and you can definitely expect to pay more. However, Hertz had a great selection and the customer service was outstanding. When we arrived in Marseille, the process was seamless from the time we got there to getting our car on the road. 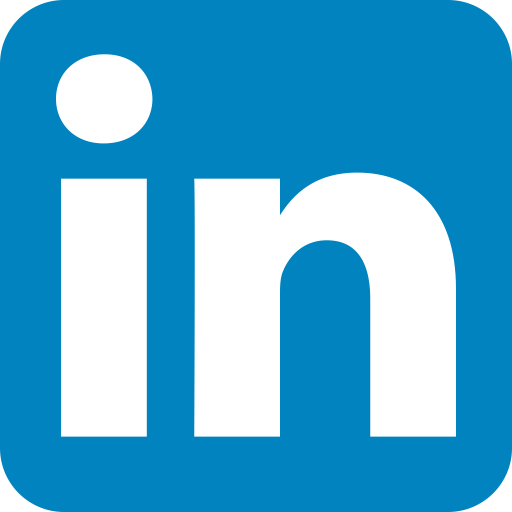 Their inventory consisted of new cars with low mileage and included unlimited mileage. They were in great shape, and spotless; something you don’t always find with car rental companies. 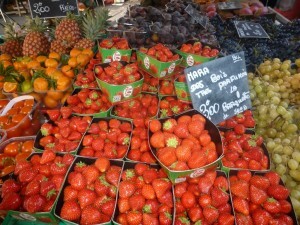 Aix and Avignon should be a part of everyone’s Provence itinerary. Aix en Provence is a wonderful first stop, as it is only 25 minutes from Marseille airport and a great way to integrate into the French culture. 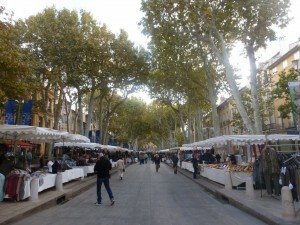 We happened to be in Aix for the Thursday and Saturday markets, and in my book, you can never visit too many markets. You can sample tapenades, cheeses, and breads until your heart’s content and shop for clothing, shoes, and household goods. 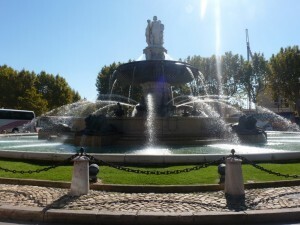 I’d highly recommend taking the one-hour train tour that leaves from the center of town near the Fountain of the Rotonde. This gives you a great overview of the city so you can figure out what you’d like to explore further. 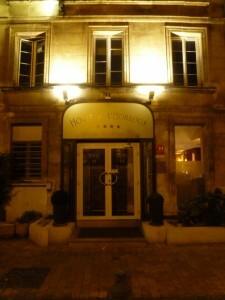 A terrific place to stay is Odalys Les Floridianes, a hotel situated within a five minute walk of the Cours Maribeau, the main street in Aix, lined with stores, cafes, and the market. 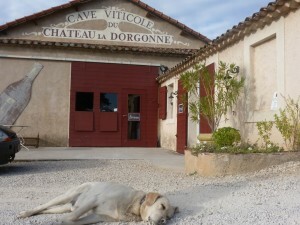 Vineyard Tour : even the dogs get worn out from all the samples! It is reasonably priced and the rooms include a kitchen, ideal for those who choose to base themselves in Aix for a longer period of time or want to prepare what they’ve bought at the market. The front desk staff is extremely knowledgeable, friendly and helpful, and the breakfast was one of the best on the trip, with a selection of croissants, breads, eggs prepared to order, yogurt, and my favorite, the juicer, to make your own freshly squeezed orange, kiwi or grapefruit juice. Aix is a great walking city, and I always felt completely safe. If you’d like to take a vineyard tour, there are chauffeured tours that leave from the tourism office, so you never have to worry about sampling a few too many. 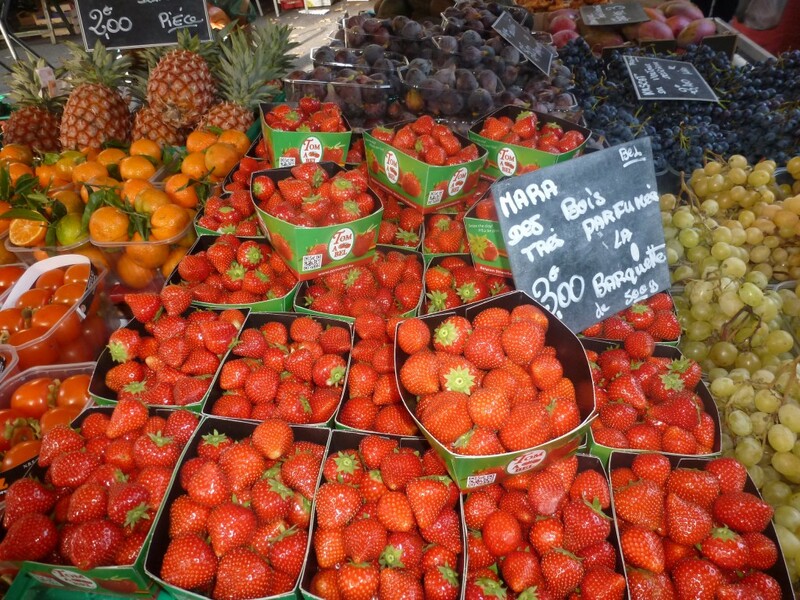 In Aix, your days can be filled with strolling the market in the morning, checking out Cezzane’s studio during the day, or just walking the streets of Old Town, eating crepes, thin crust pizza, or planting yourself at a café along the Cours Maribeau and experiencing the vibrancy that is Aix. 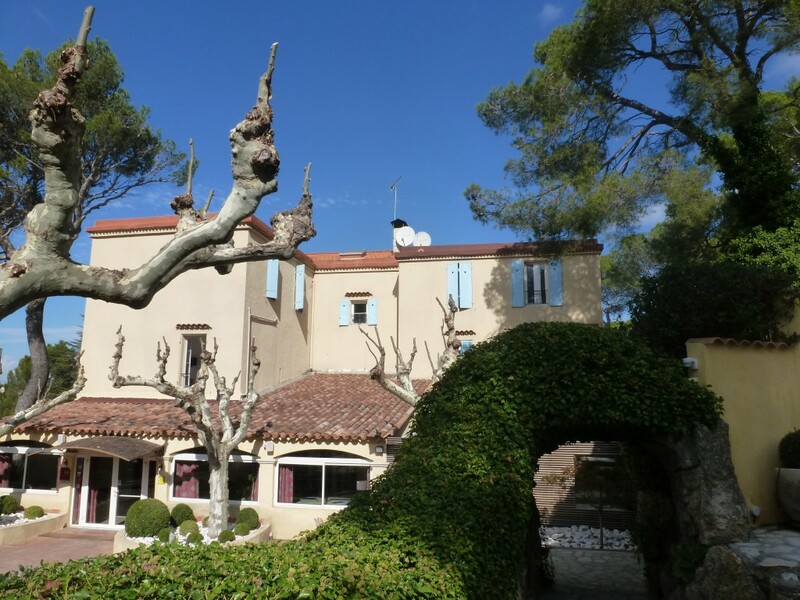 If you’re looking to stay in more quaint surroundings, the Bastide de Cabries in Cabriès is about a 10 minute drive from the center of Aix en Provence and offers a quiet retreat with impeccably maintained grounds. Within the walls of Avignon sits a city rich in history and architectural splendor. The city became the seat of the pope from 1309 to 1378 and he resided at the Papial Palace, built in the 14th century. This massive structure can be seen from the bridges leading into the city and it immediately makes you feel as though you’ve stepped back in time. 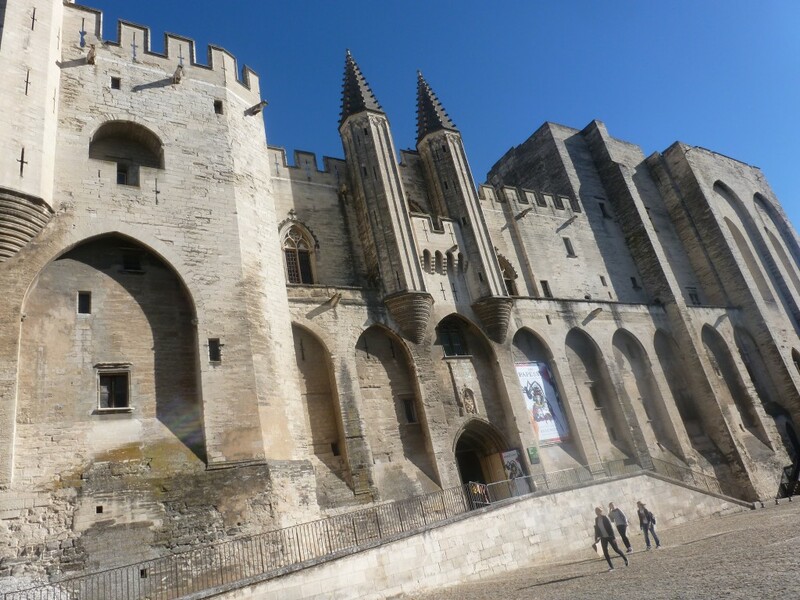 When visiting Avignon, you’ll want to stay within walking distance of the palace, the Saint-Benezet Bridge (Pont d’Avignon), and the shops. For that, the Hotel de l’ Horloge offers reasonably priced accommodations in a prime location overlooking the square of the same name. 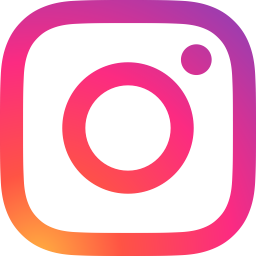 You have the option of booking various types of rooms depending on your budget, but even the superior rooms are reasonably priced and offer everything you’ll need to make your visit a memorable one. While many stay in the region of Avignon and Aix for their entire trip, you would be remiss not to drive north and take in the awe-inspiring scenery that makes Provence so spectacular. We stayed at Le Phebus Hotel and Spa in Joucas, a fifteen minute drive from the cobblestone village of Gorges and the red rocks of Roussillon. 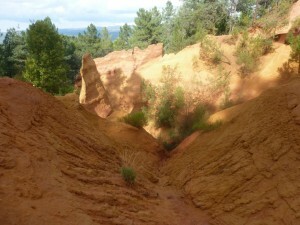 Gordes has a great market on Tuesday mornings and Roussillon is another great village with gorgeous ochre rocks through which you can hike. If you’re looking to treat yourself to a luxurious and secluded getaway, Chef Xavier Mathiew’s creation, Le Phebus Hotel and Spa, is the place to stay. The food is top notch and the setting of the resort forces you to take a deep breath and relax. For even greater relaxation, the spa offers many massage and facial treatments with access to a steam room and large Jacuzzi for both men and women. 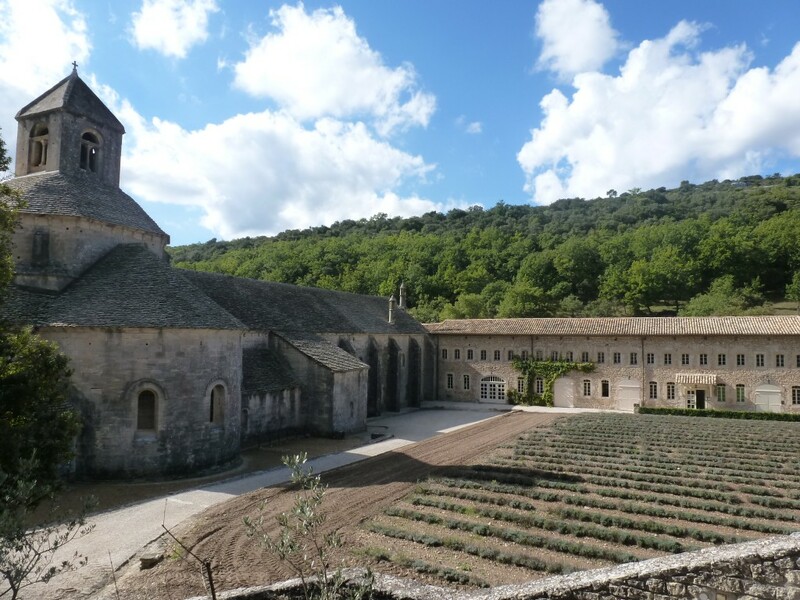 While at Le Phebus Hotel and Spa, you’ll want to explore the areas of Gordes, Rousillon and the Senanque Abbey, known for its beautiful lavender fields when in bloom. 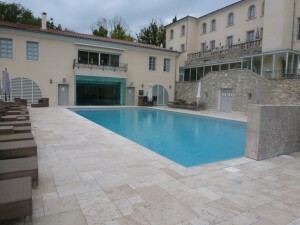 Le Couvent des Minimes is also a must visit if you’re looking for the five star spa and resort experience. Nestled in the small town of Mane, Luberon, they’ve done a fantastic job converting its inner courtyard into a picturesque place to enjoy breakfast and dinner. We had dinner one night at the property and the food was fantastic. 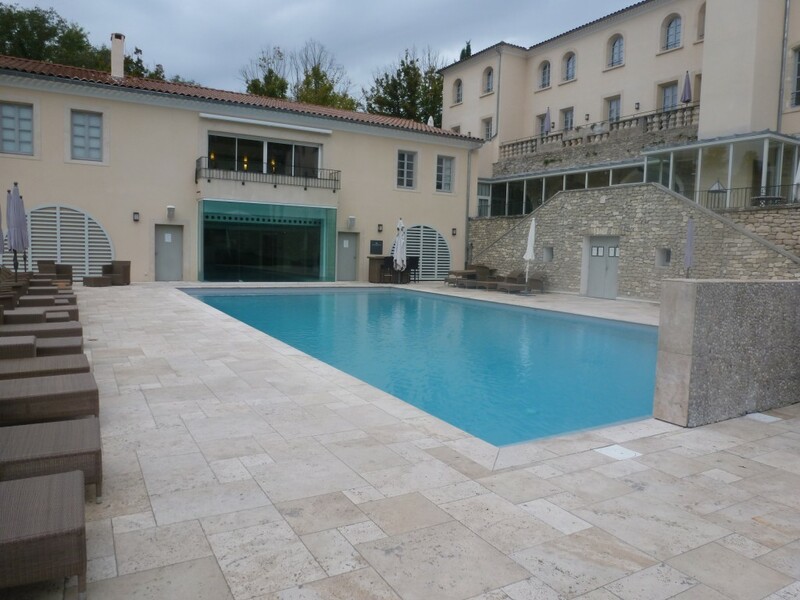 Its spa offers two co-ed steam rooms, saunas, a pool, and a relaxation room stocked with snacks as well as a full line of treatments using L’Occitane products. In addition, the resort features a large outdoor pool, fitness center, billiard room and library. 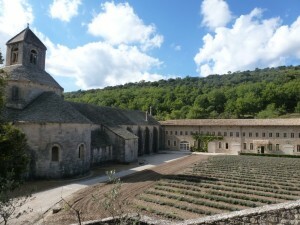 Thirty minutes away is the L’Occitane factory, which offers free tours daily. You’ll undoubtedly also want to drive to gorges du Verdon, which takes an hour and a half, but along the way, stop at Moustiers Sainte-Marie for lunch to enjoy another quaint and gorgeous village. So when is the best time to visit Provence? We went in October, which turned out to have bright sunny days and comfortable temperatures in the high 60s/low 70s, but if you are looking to experience the lavender season, you’ll want to head there in June, July or August. However, it’s also the busiest time of year. When you’re ready to experience the true beauty and romance of Provence for yourself, click here for even more ideas for your trip. Bon Voyage! Next Post: Grab Your Lasso and Head West!